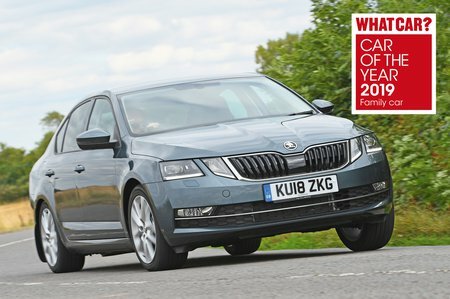 Skoda Octavia Review 2019 | What Car? When choosing a family car, Skoda's rival to the Ford Focus and Volkswagen Golf shouldn't be overlooked. With the Skoda Octavia hatchback, capacious Skoda Octavia Estate and sporty Skoda Octavia vRS all available, the chances are there's an Octavia to suit you. 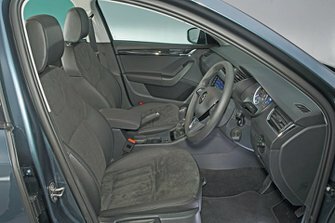 While the Estate might be your first choice if space and practicality mean everything, the family hatchback version is no slouch when it comes to versatility – its class-leading boot can easily beat its Focus and Golf hatchback rivals for size. Meanwhile, a lengthy equipment list, competent and economical engines and a smooth motorway ride give you plenty of other reasons to consider an Octavia. Read on over the next few pages and we’ll reveal what’s good and not so good about the Octavia and whether you should choose one over its rivals. Whatever car you settle on, don’t forget you can buy it with the minimum of fuss and for the best price through our New Car Buying service just by clicking here.